A Dunkin’ Donuts in Syracuse has suspended a pair of employees after one of them poured a pitcher of water onto a homeless man sleeping inside the restaurant. Video of the incident has since gone viral and shows the employee unloading a full pitcher onto the homeless man’s back as he rests in a booth with his head on the table. “How many times I’ve got to tell you to stop sleeping in here?” the employee asks after waking the man up. The incident appears to have taken place Sunday night. Both the employee and the man filming can be heard laughing in the video. 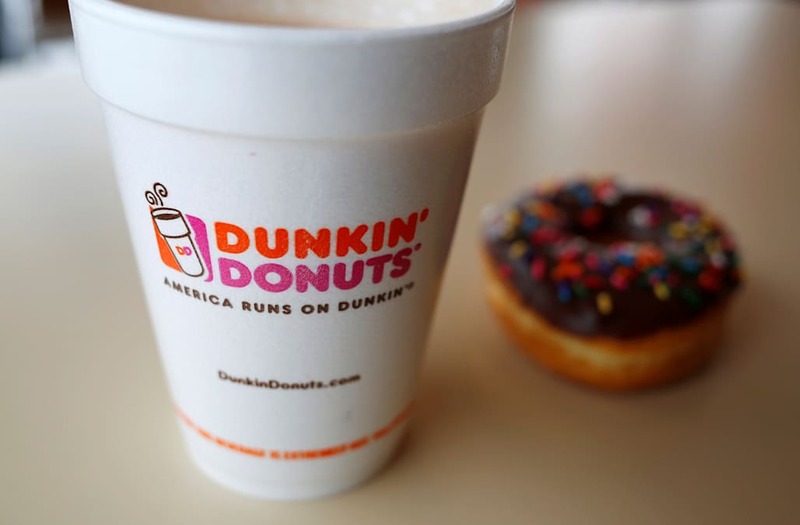 Two employees have been suspended for their roles in the situation, Kimberly Wolak, the franchise owner of the Dunkin’ restaurant where the incident took place, confirmed. “We were extremely disturbed by the behavior of our employees captured in the video. It not only violated our written policies, but goes against our core values as an organization--which include creating a welcoming and hospitable environment and treating everyone with dignity and respect,” Wolak said in a statement obtained by the Daily News. @AmakaUbakaTV @KrisAndersonTV Smart marketing idea because they have changed the menu quite a bit, but I personally HATE it. @AmakaUbakaTV @KrisAndersonTV Not a fan of the name change. I love their pumpkin donuts in the fall! @AmakaUbakaTV @KrisAndersonTV They literally invented the word “Donut”. They should keep it forever. The homeless man in the video, Jeremy Dufresne, told Syracuse.com that he had been charging his phone inside the restaurant so he could call his mother and tell her goodnight. "He probably had some personal problems of his own and needed someone to talk to," Dufresne told the outlet of the employee who poured water on him. "And he took it out on someone else, like me." A GoFundMe has since been created in hopes of raising money to help Dufresne. The online fundraiser initially sought to raise $150 but has already raised over $1,600 in its first day. The employees in the video have not been identified. Al-amin Muhammad, an advocate for the homeless community in Syracuse, visited the Dunkin’ Donuts after the incident took place and filmed his conversation with staffers. One of the women working there told Muhammad she disapproved of her fellow employee’s actions but didn’t have any additional information. Muhammad said he’d call for their store be boycotted if he didn’t hear from the store’s manager — who was not present when he arrived — by noon. A group of demonstrators showed up outside the Dunkin’ store in Syracuse on Monday in support of the homeless man, reported local news station WTVH-TV.